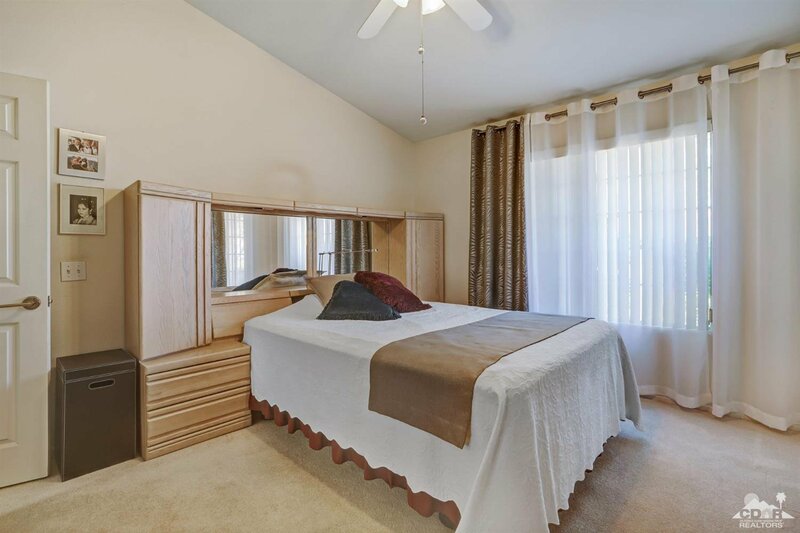 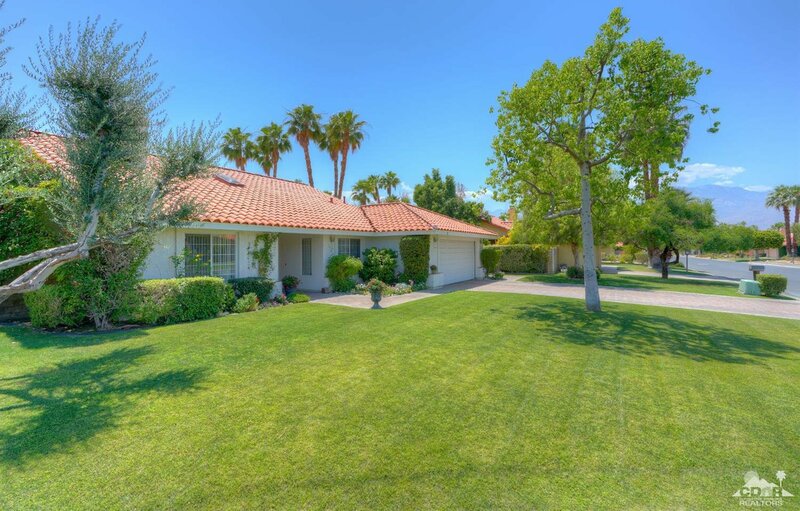 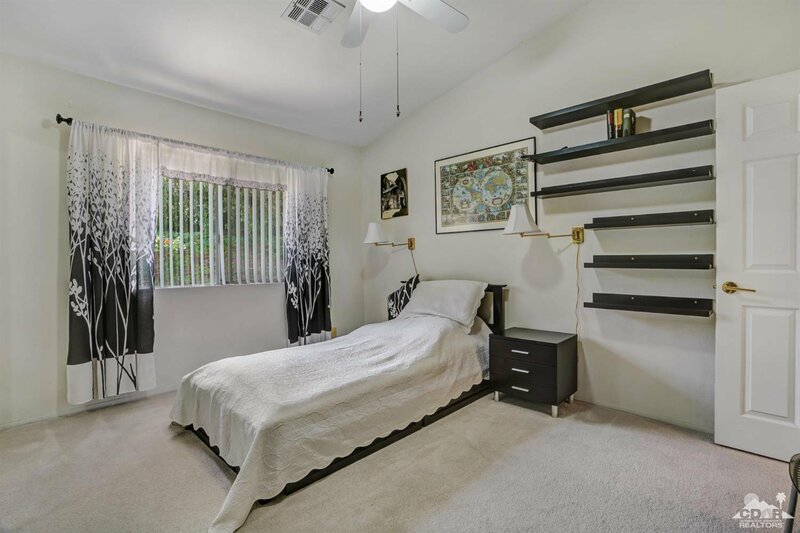 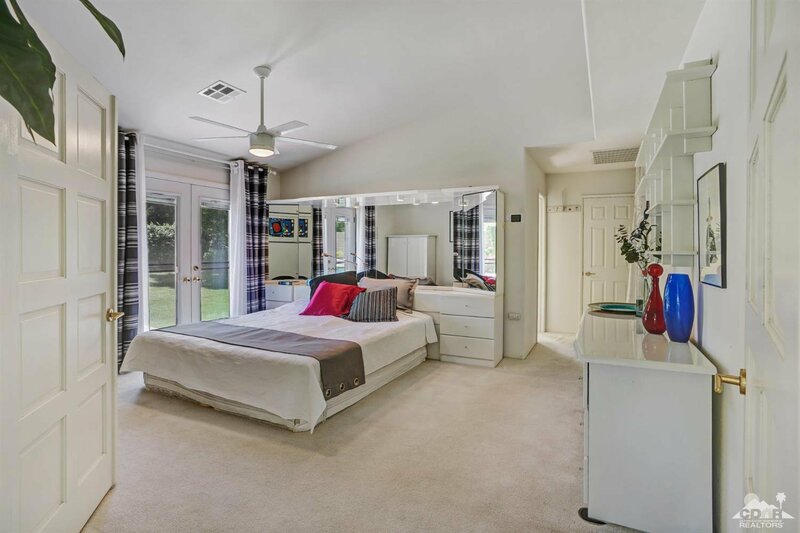 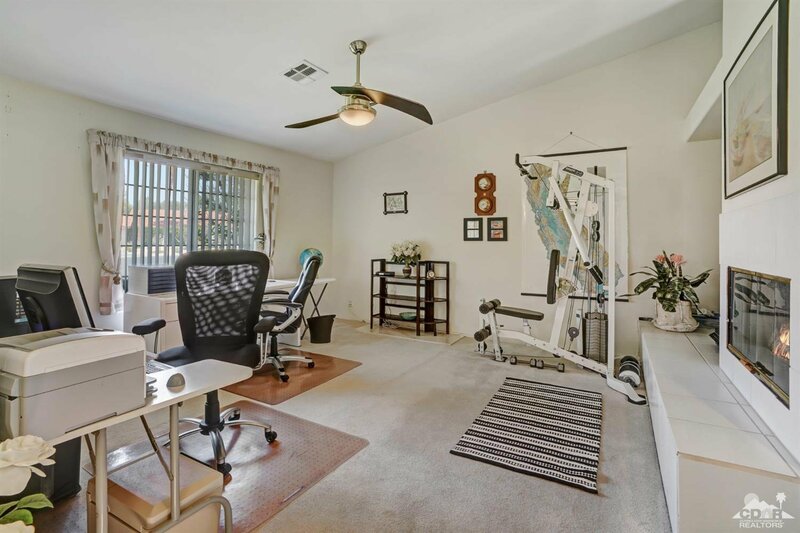 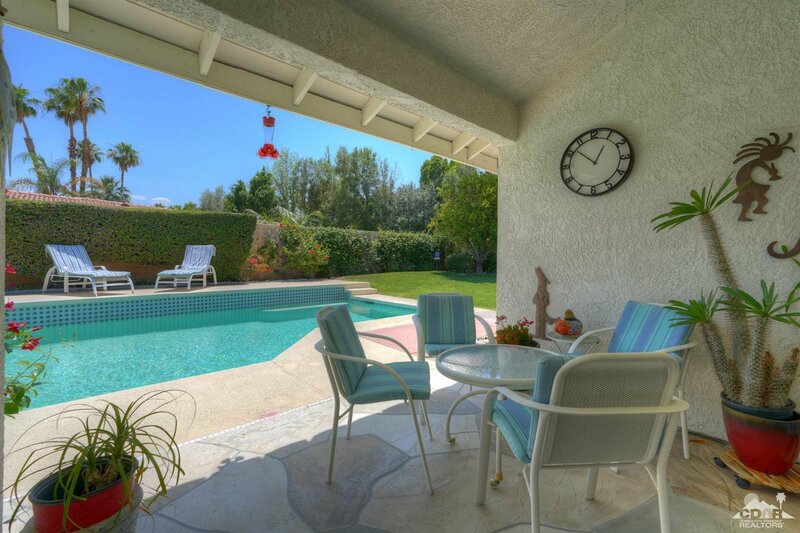 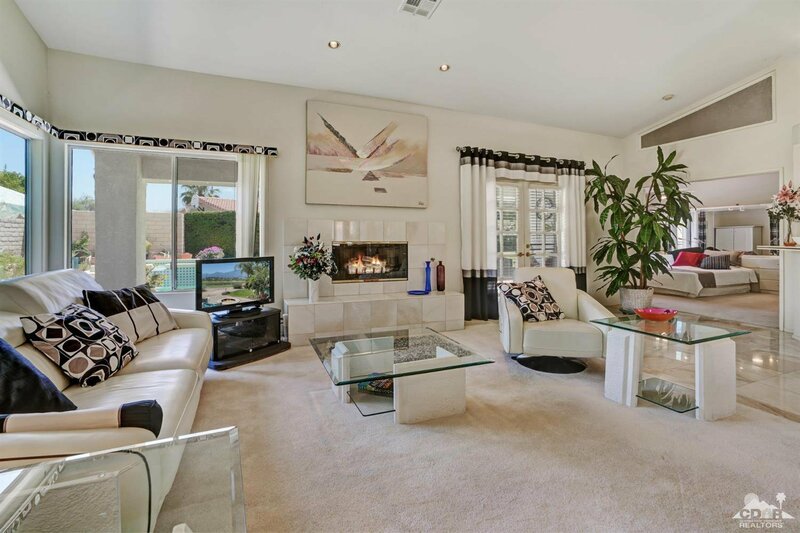 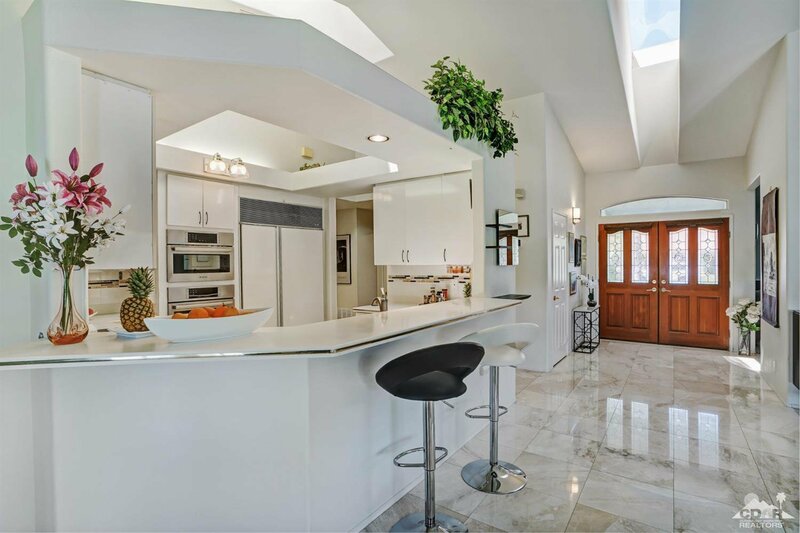 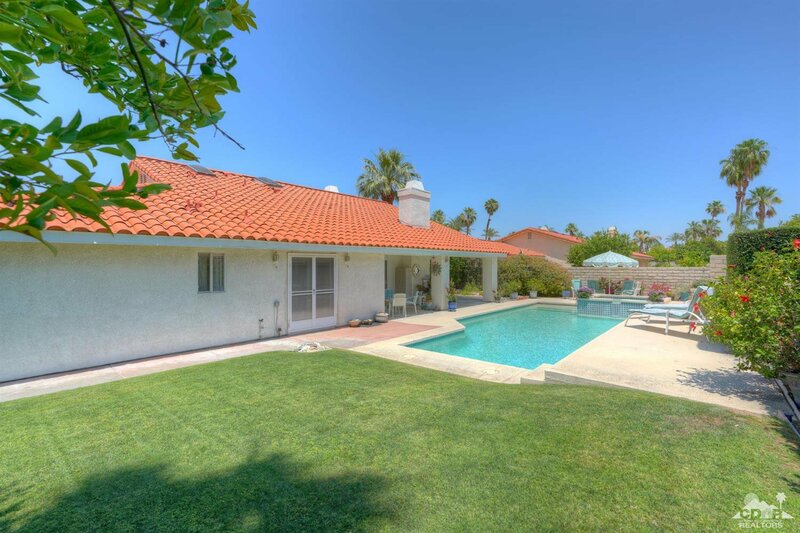 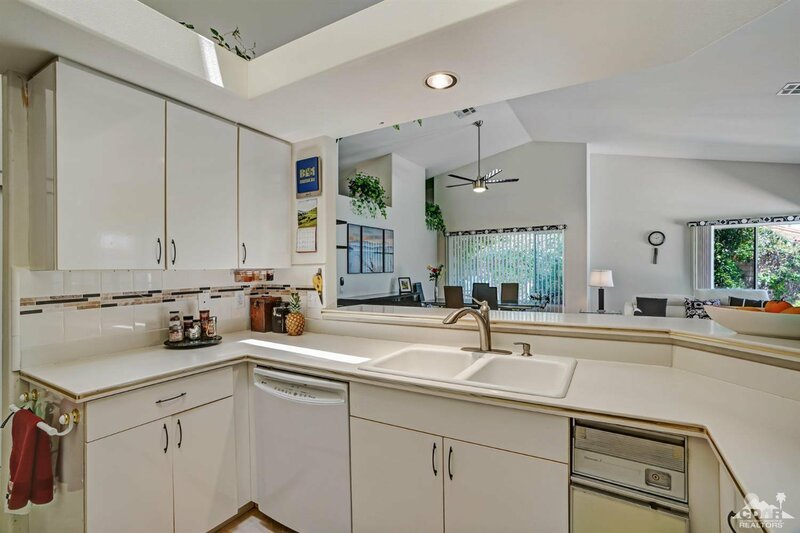 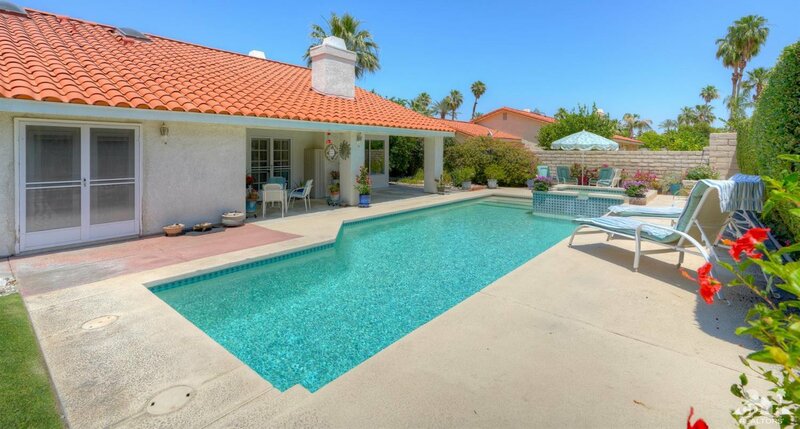 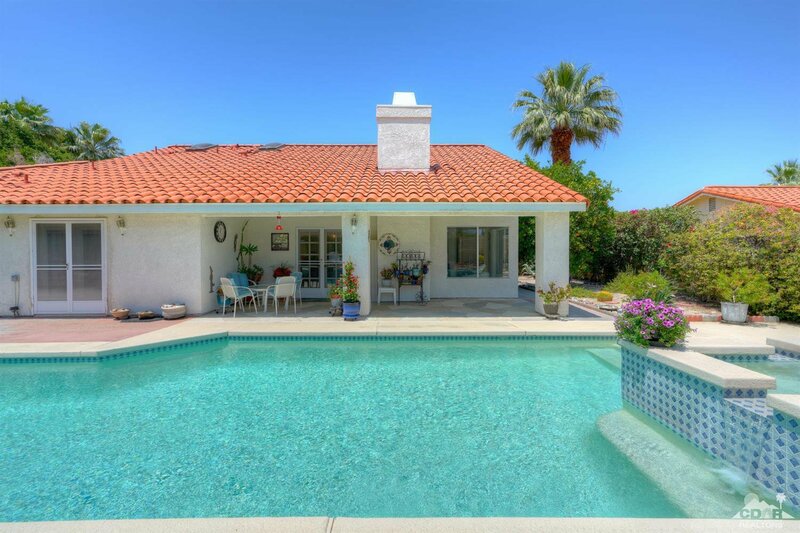 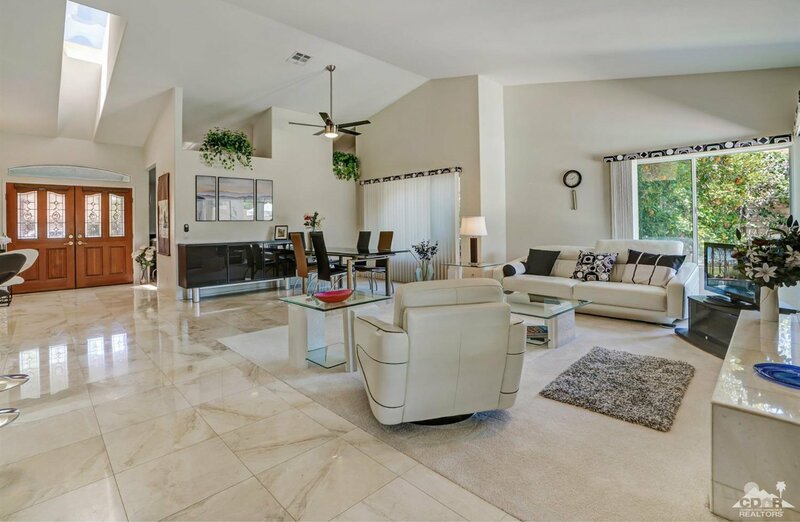 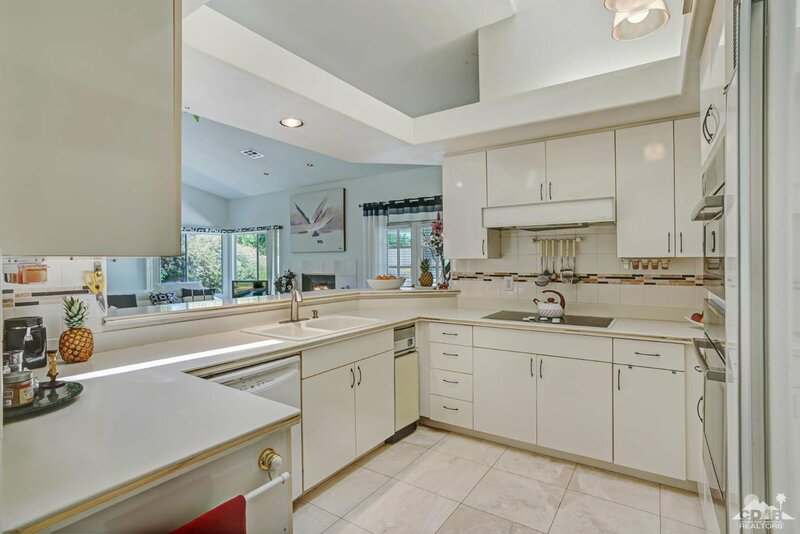 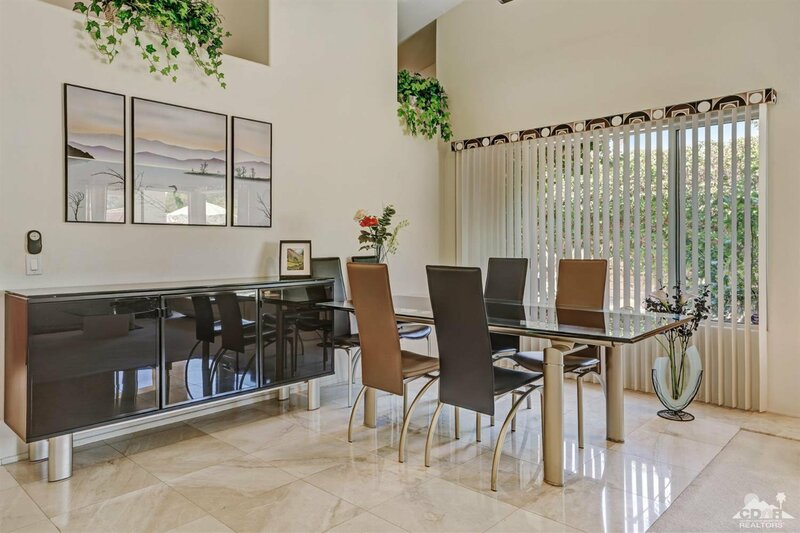 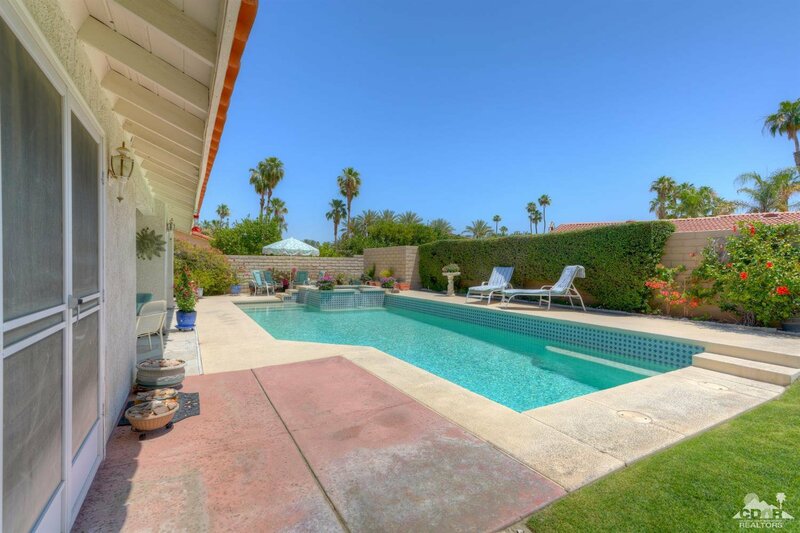 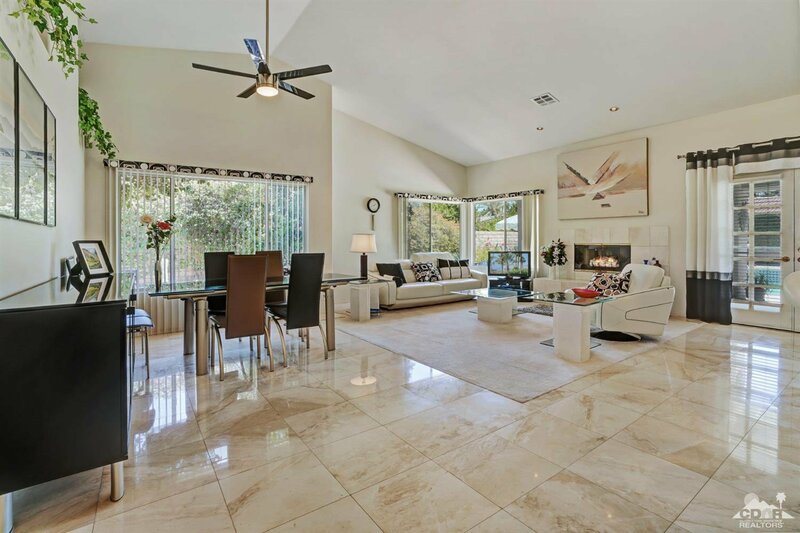 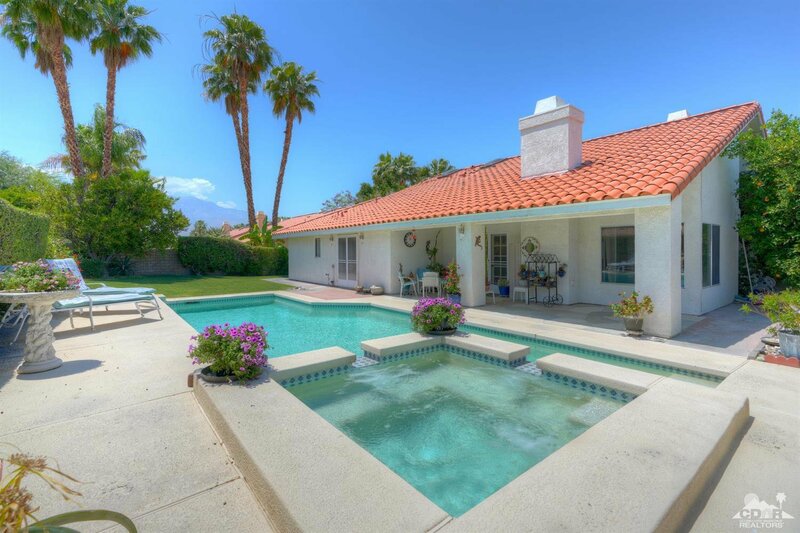 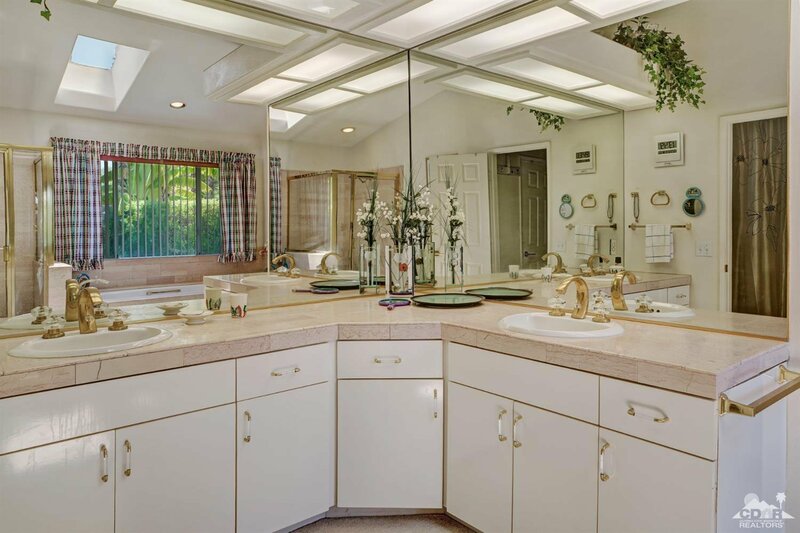 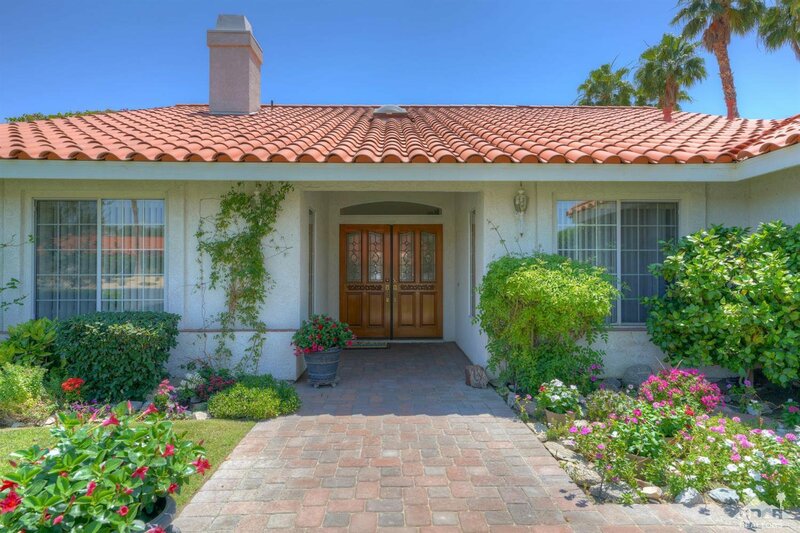 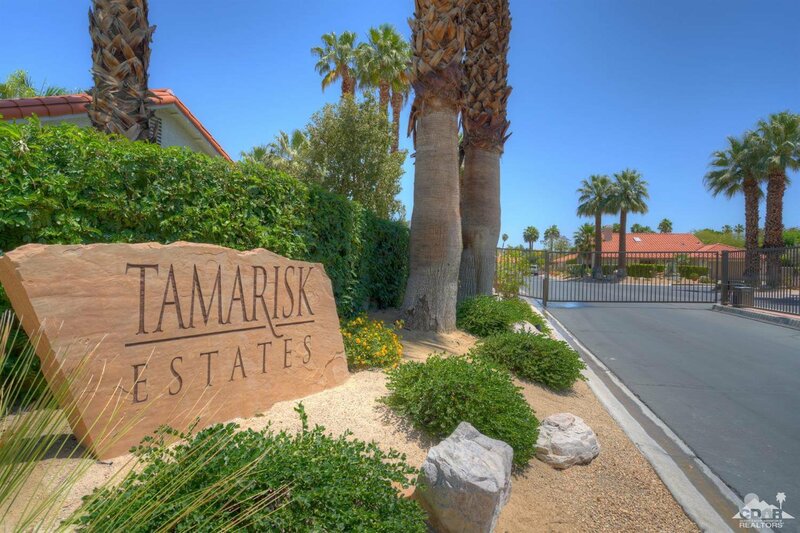 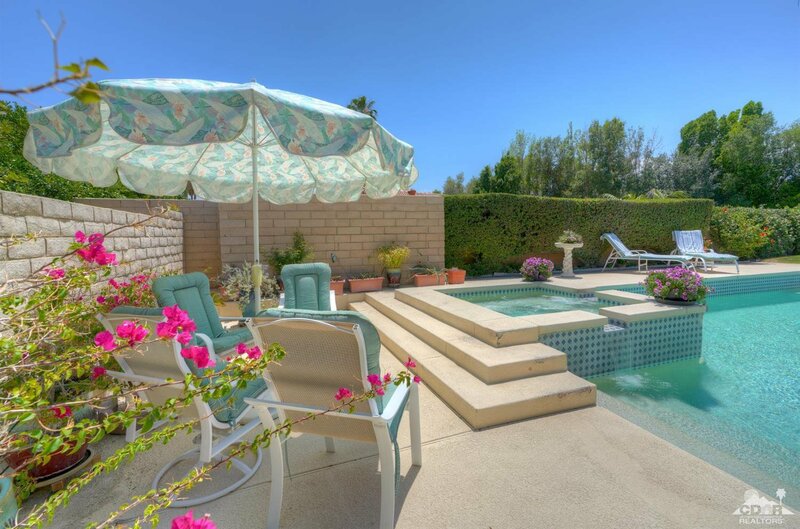 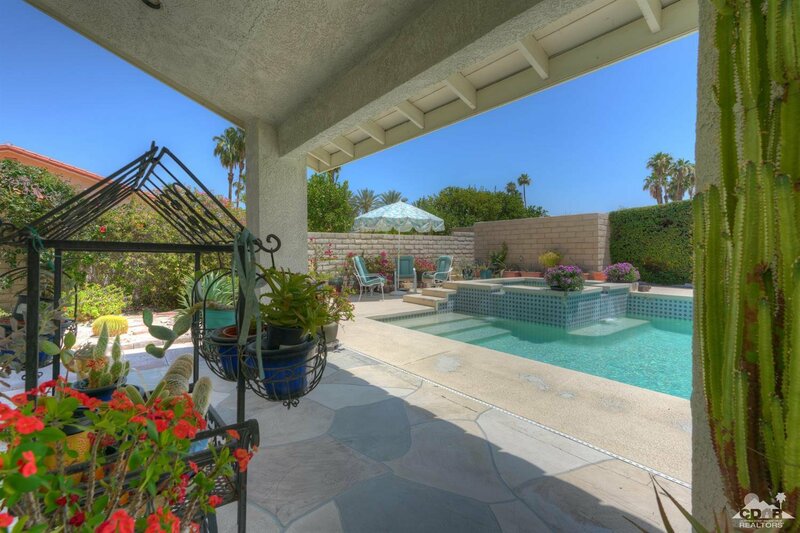 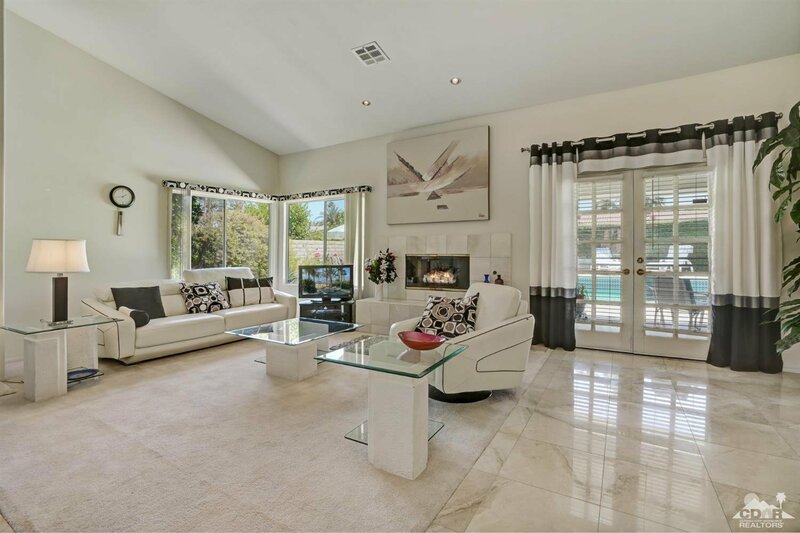 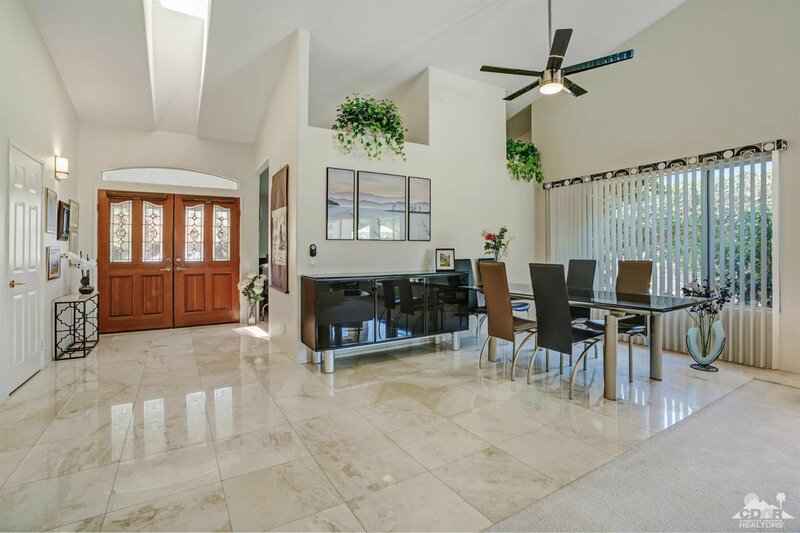 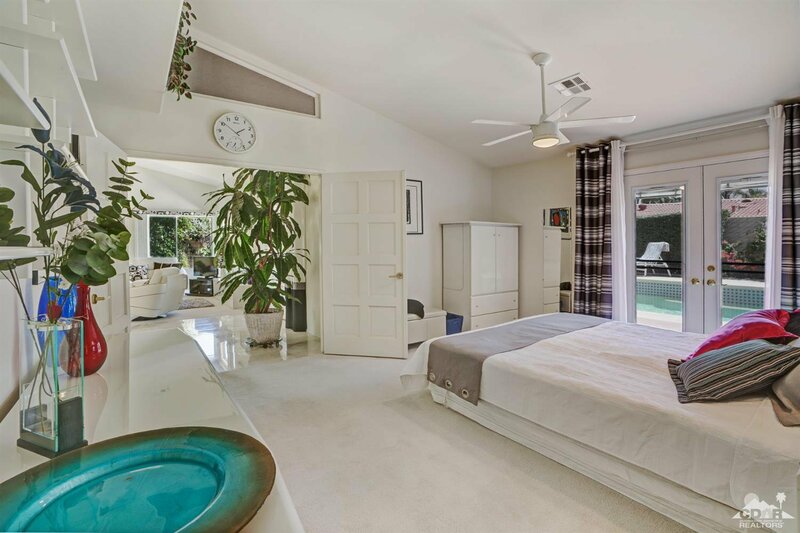 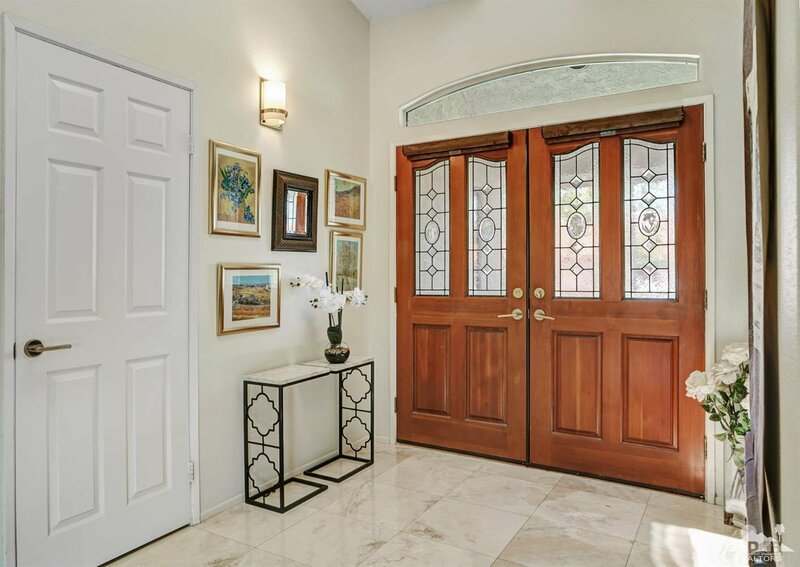 Enjoy endless fun in the sun in this prime South Facing beautiful single-family home in the heart of Rancho Mirage. 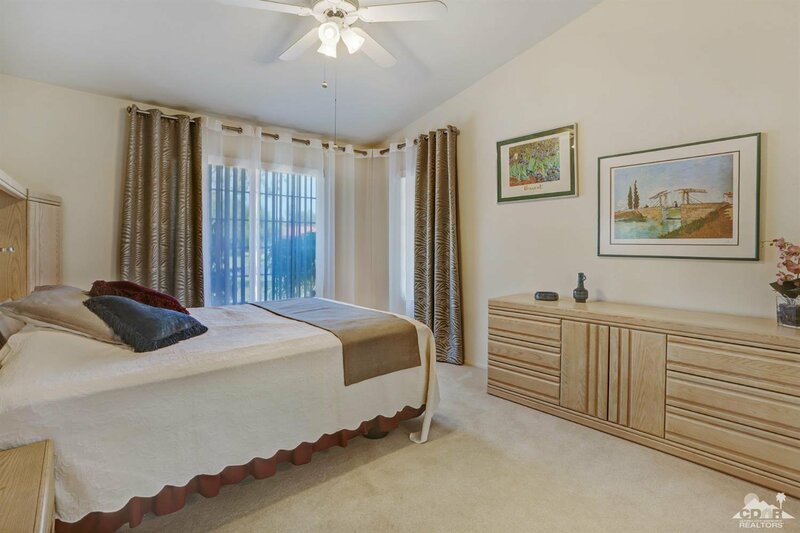 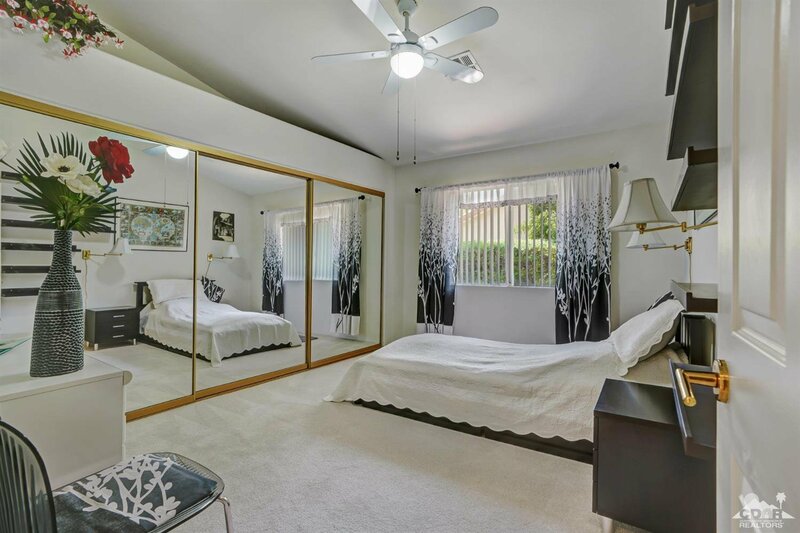 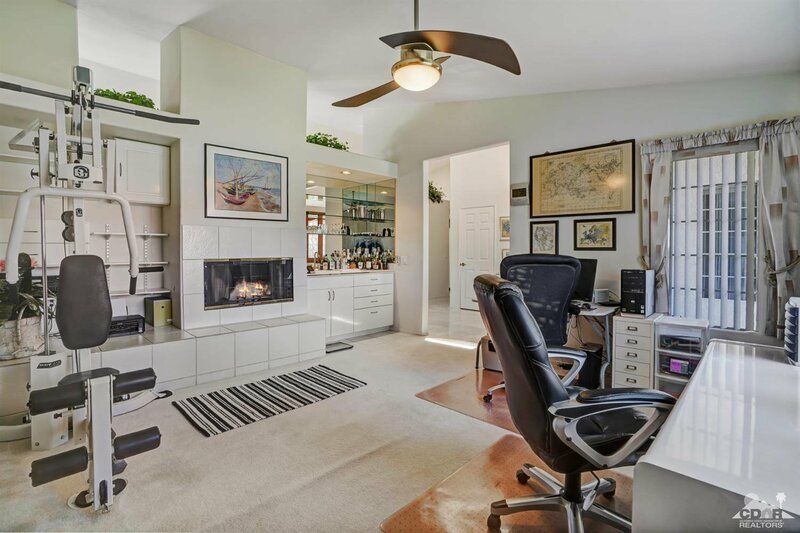 Offering 2,100sf on a large lot, this contemporary style 3-bedroom home is a perfect full-time or seasonal home. 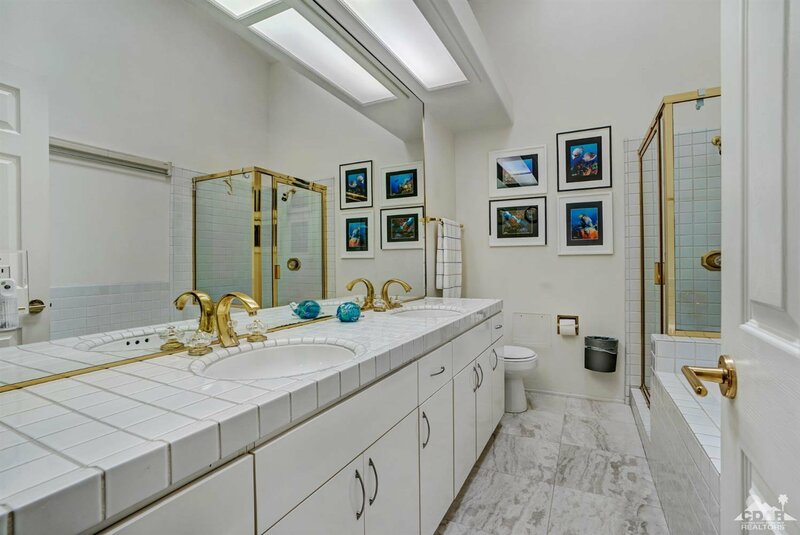 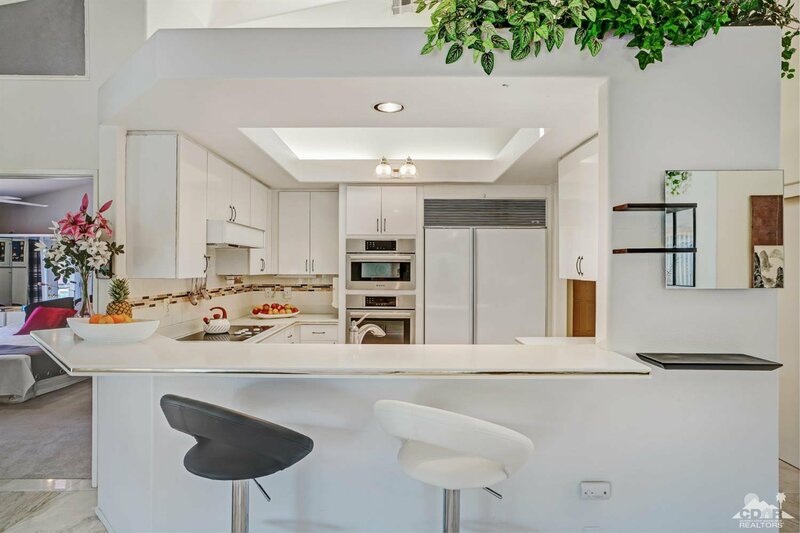 The interior takes advantage of tons of light, dramatic architectural details and includes marble tile floors throughout the majority of living areas, a flexible Den / office perfect for a 4th bedroom, 2 large bathrooms, 2 cozy fireplaces and a sleek kitchen. 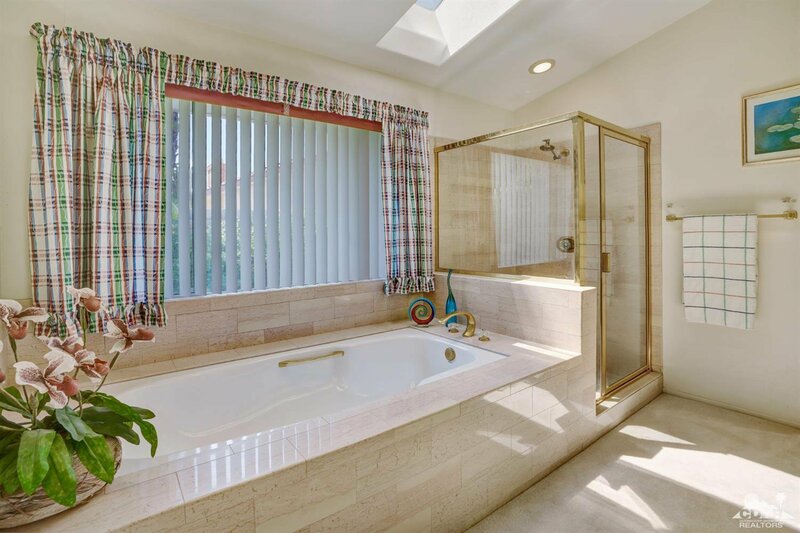 Energy efficient features have been installed in the past few years including Lenox AC units, water heater & skylights. 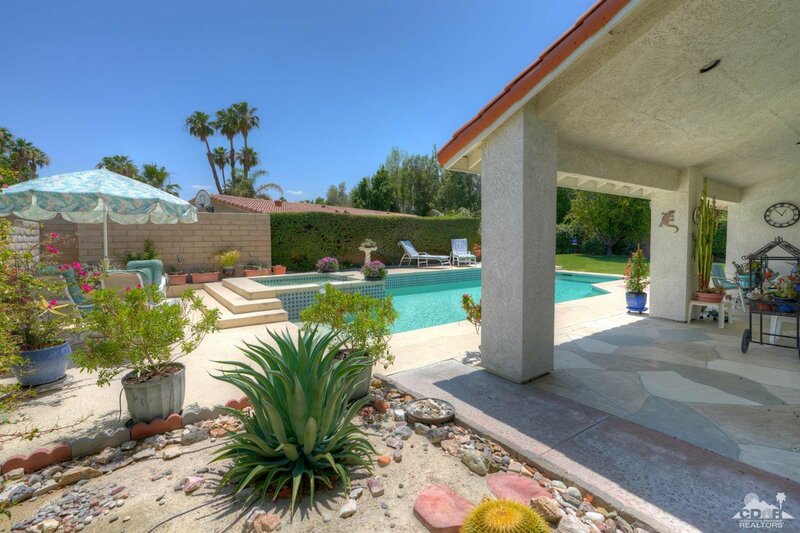 The private south facing back yard features a contemporary designed 38-foot pool & raised spa which the owners finished in pebble-tec, mature landscaping with multiple fruit trees, plenty of patio space including a covered patio and stunning mountain views. 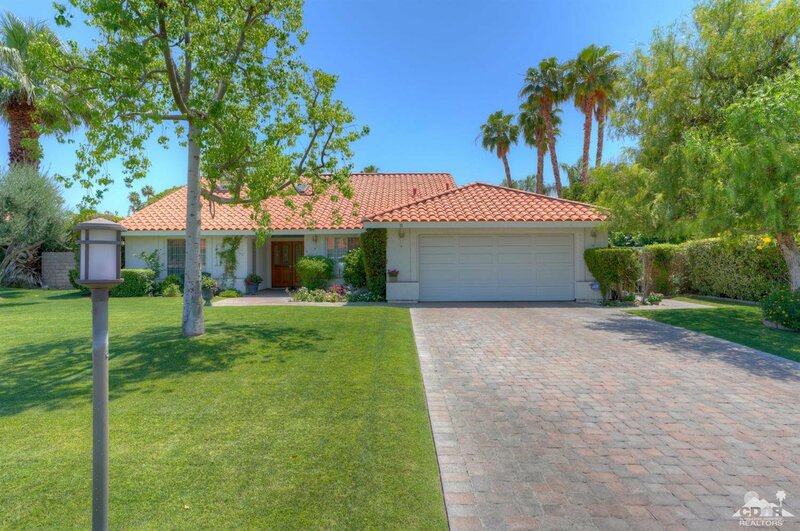 This home has major curb appeal with a large front yard, high-end paver driveway and offers so much you will have to see to believe.